Next: Craft Brews, Giant Patio, Suckling BBQ…Need I Say More? Previous: Prosciutto-Rimmed Cocktail Wins Pisco Competition! There are lots of great mixologists in this city, as well as impressive chefs. What would happen if those amazing chefs took a turn at the bar for a night? Well, Chefs Behind Bars was the way to find out! This event featured 8 DC chefs, each taking a turn to create and serve a cocktail. “Likes” were indicated by tipping.  The chef with the most tips won the People’s Choice award, and all of the tips got donated to Taste of the Nation/Share Our Strength. The scene was perfect– the rooftop of the gorgeous Liaison Capitol Hill Hotel. All of the drinks were pretty impressive. Each unique and elaborate. The People’s Choice winner was called Peaches & Herbs, created by Amy Brandwein of Alba Osteria. 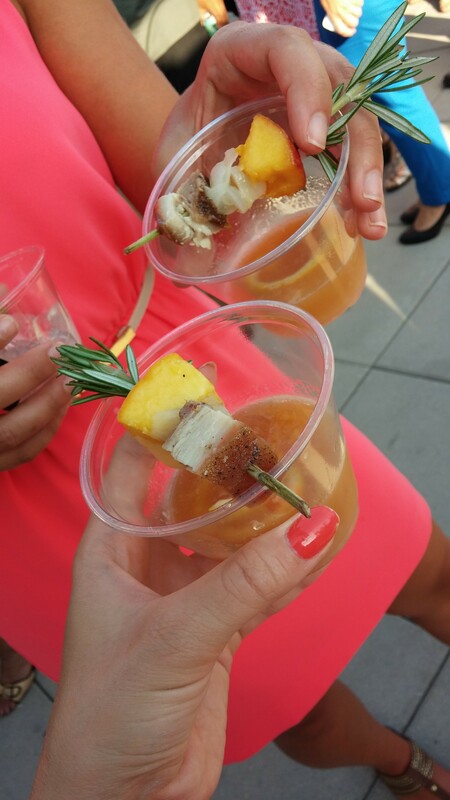 It was comprised of Jim Bean, bloomery sweet shine lemoncello, peaches, pork belly, rosemary, and egg white. The pork belly was on a skewer resting in the drink. It was DELICIOUS. The cocktail that the judges deemed the best was created by Jonah Kim. The Noble Stanley: Makers 46, vanilla syrup, lemon, chocolate bitters, sage, aged sherry vinegar, and soda. My favorite drink of the night was by Dmitri Moshovitis, the chef and owner of Cava Mezze. It’s called the Melani: Grey goose vodka, harissa syrup, St. Germain, lemon, squid ink. I know what you’re thinking: squid ink?! Yes, that’s right! Honestly I don’t think it has much flavor– more for the unique black color. Jesse Miller of Bar Pilar made the aptly-named Let’s Get Naked: Cazadores Tequila, smoked pineapple and peach shrub slushie. This was another one of my favorites. Slushie AND tequila?! Amazing. The only shot of the night was called the Diamond Brandy and was created by Spike, chef of Good Stuff Eatery and We, the Pizza. That’s a gin oyster shot with chili infused bourbon/sherry vinegar and (wait for it) a lightly brined egg yolk. Bibiana’s Nick Stefanelli made a pretty pink drink, the DC Sour: Catoctin Creek Mosby Spirit, strong tonic, citrus, and egg white. Matt Hill of Lyon Hall and Liberty Tavern made a cherry cocktail. We actually didn’t get to the front of the line for this one, but we able to try it from a friend. So, I snapped a pic of the drink itself, but I don’t know exactly what was in it. There was one drink that we sadly did not get to try. We waited in line the whole time, but I guess they just couldn’t get the drinks out fast enough for everyone. It was the Storms Brewin’ by Art & Soul’s Wes Morton. It had Bacardi 8 year, Santa Teresa Solara 1796, passion fruit puree, and yuzu juice. It looked really good and the guys behind the bar were working really hard to make them. Everyone, myself included, had an exceptionally great time. Maybe it was the tasty drinks, maybe is was knowing that it was all for a good cause, maybe it was the astounding chefs…or maybe the combination of everything! Pingback: #ShareOurStrength Presents #ChefsBehindBars to Support #NoKidHungry at the #LiaisonHotel with @DJNeekola!